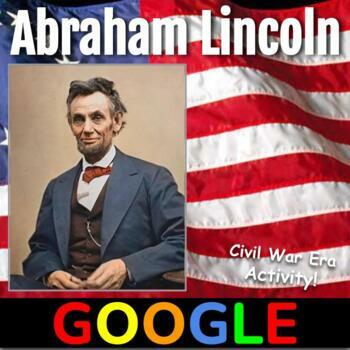 This product is a Google form with a short video on the life of Abraham Lincoln. The video (3 min:59 sec) is inserted into the Form. 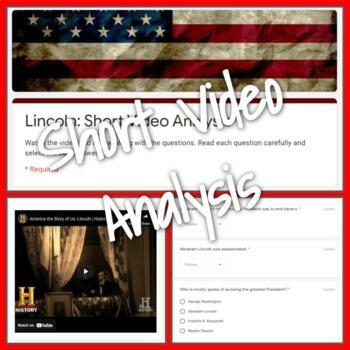 The video covers Lincoln's life before his presidency, Lincoln as President, his assassination, and his legacy. 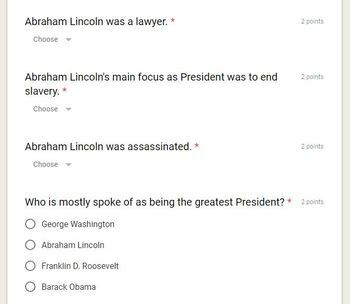 The students can answer the 5 questions on the form. This is an enrichment activity or excellent homework assignment. They can do this from their phones.